You will need your previously created CSS file, a text editor, and a web browser. From the Lesson_10 folder, open tpa.html . Place your cursor after the font declaration in the CSS rule for body and press Enter (Return). 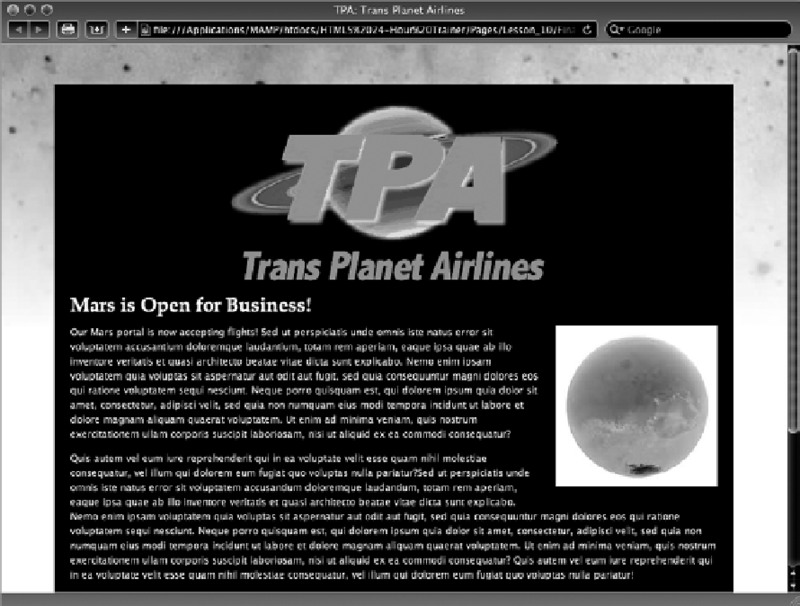 In your browser, open tpa.html to review the background image, as shown in Figure 10-9.